Two pictures attached. First one is my driveway on Sunday after cleaning up Saturday’s snow. Second one was taken Tuesday afternoon after the city truck had finished with our cul de sac. These pictures show very clearly that I had removed all snow from my driveway AND the street in front of my driveway. A city employee then pushed all the snow from the center of the cul de sac straight into my driveway. I watched her do it. It took several passes but eventually her job was done and my beautifully cleaned driveway and road front were completely blocked in. This absolutely brings a person (me) to tears because there is nothing I can do about it. “The City” tells me it is my responsibility to clean this mess up. Maybe if you parked your vehicle in front of your driveway they wouldn’t be able to ruin your hard work🤔 I think I’m going to try that next time. There is no need for that, and that windrow is tough to shovel, even for the fit among us. 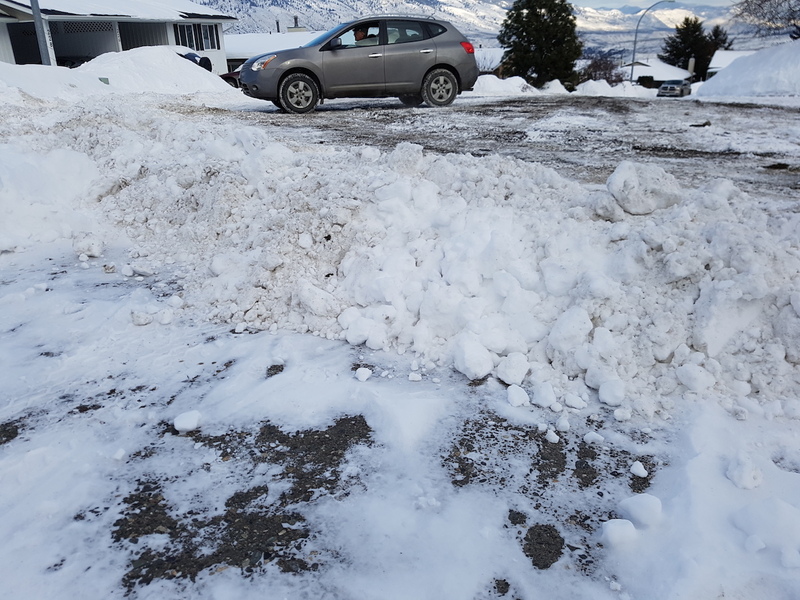 There is a small attachment that can be fitted to plows that will prevent this nonsense. Instead of useless studies for bull ship projects, the city should be buying these to put on their plows. From your video below it looks like the boot really isnt a viable option, considering the down time, breakage and the slower plowing it needs. Quickly becomes not cost effective or even efficient. Knowing our City Hall, I wouldnt be surprised if they actually negated to investigate issues like this and bought a few, just to watch them fail. Good idea in principle, but they need to be R+D’d some more. Ya, that is just wrong!! 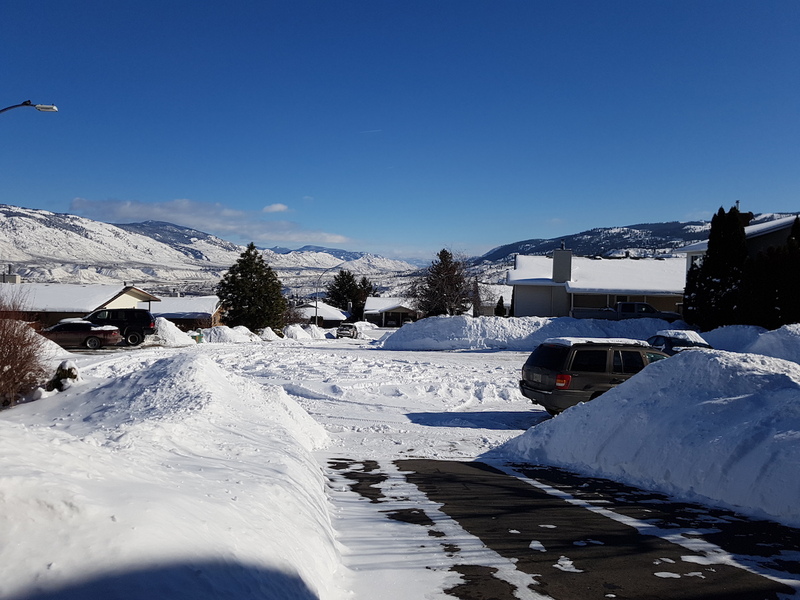 Sally, this is Kamloops, it snows here from time-to-time. You have a choice, have the City clean your cul de sac and (unfortunately dump snow in driveways), or sit inside and wait for mother nature to take it away. And as my mother would say, “get outside, the exercise will do you good”. That is a great “2,000 word” essay in full colour. Tony you may be right but Sally didn’t mention health as an issue. Sally was upset because the operator dropped snow in her driveway. I don’t believe government workers are all a bunch of dorks out to get the public. It is not easy having thousands of bosses. They do the best they can with what they have. Sally concerns speaks to a bigger question, just how much government do we want I our lives. And shouldn’t we be dong more for our self. I’m from a rural background and the neighbours took turns maintaining the road. Most were dyed-in-the-wool CCFers and they were prepared to work together and solve the problem. Didn’t always need Tommy. If there is snow piled up at the corner, can’t a couple of neighbourhood folk mosey down with shovels and make a path? We seem to be coming a community of whiners and not doers. When did we stop caring for each other?